Nice work!! Sweet and simple. I am curious to see how big the actual structures are going to be. 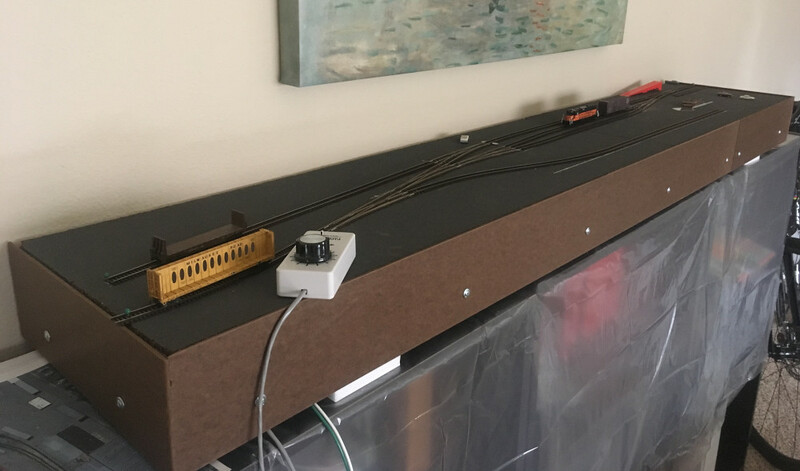 I love in N scale how we as modelers can make the buildings dwarf the rolling stock. Thanks Wyatt! I agree, it's important to capture the mass of the surroundings. Even with the layout as it is, mock grey paint pavement and track, the trains look small so it seems I'm on the right path. 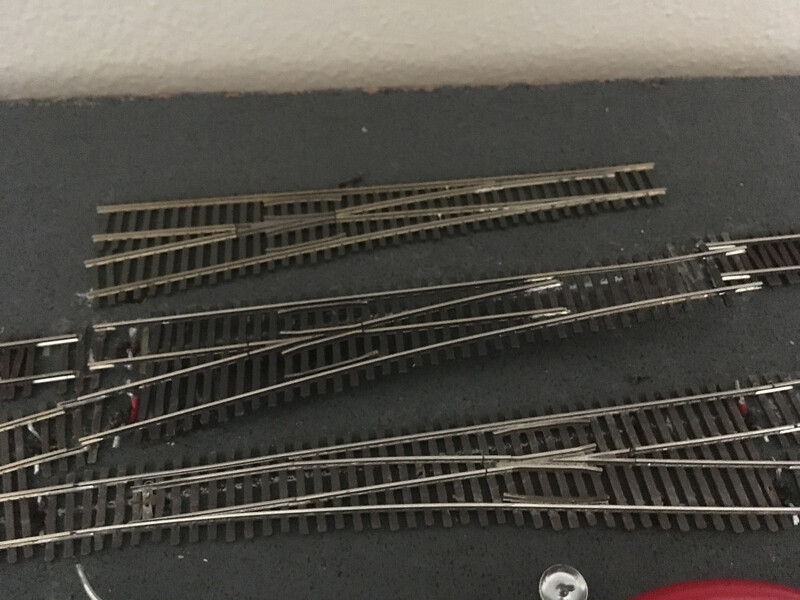 While testing the track, my trusty GP40 kept picking the points on this turnout. 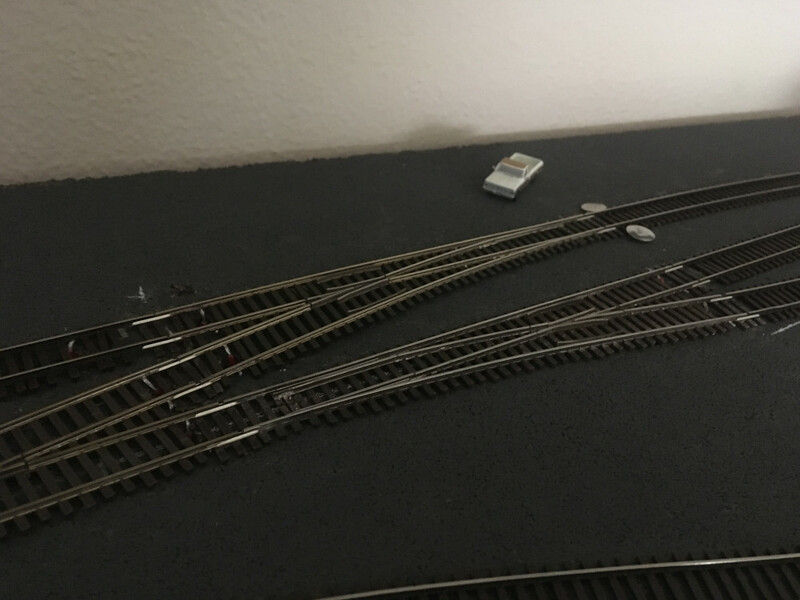 After investigating, it appeared that a slight vertical bow in the turnout (it was used on one of my previous layouts) was lifting the points just enough to catch the lead truck and send the works down the wrong track. I tried to apply a little pressure on the throw bar, just to see, and it must have been more than a little pressure. It snapped, sending bits of plastic everywhere. Needless to say I grabbed a cold one and let the layout sit a few days. Yesterday I prepped another turnout (luckily I had a spare), replaced the old one and rewired. It's operable, knock on wood.